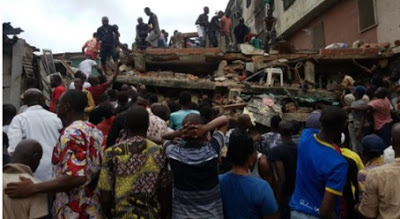 8 dead, 15 rescued in Lagos building collapse – Royal Times of Nigeria. The General Manager, Lagos State Emergency Management Agency (LASEMA), Mr Adesina Tiamiyu on Wednesday said 15 persons had been rescued from the building that collapsed in Lagos. He disclosed this while giving an update on the rescue operation at the collapsed building site. Tiamiyu said: “Eight persons were brought out dead,”. The general manager said the rescue operation, had, however, been put on hold, pending further investigations. The 4-storey building located at No 3, Massey street, Lagos Island, collapsed on Tuesday.